The longest six minutes of your life are spent with only one person, the one standing directly in front of you. The lights are bright, centered only on you. The audience is waiting for one slip up, one missed shot or poorly chosen position. In the end, only one victor is crowned and the audience has all just witnessed this unfold. The journey that a high school wrestler experiences parallels real life, as people are watching you from a distance, waiting for you to make a mistake, waiting for you to slip up, or do just the opposite and succeed. Behind the scenes, though, is something that the audience cannot see. In a heated room, 15-20 athletes are striving to excel in the sport and are already preparing themselves for the transition into adulthood. Struggling to drop weight before the next match while also juggling school work and a social life seems almost impossible. Restricting oneself from devouring the entire box of cookies that lay in wait on the kitchen table builds the understanding of moderation necessary to balance the complexities of life and adulthood. 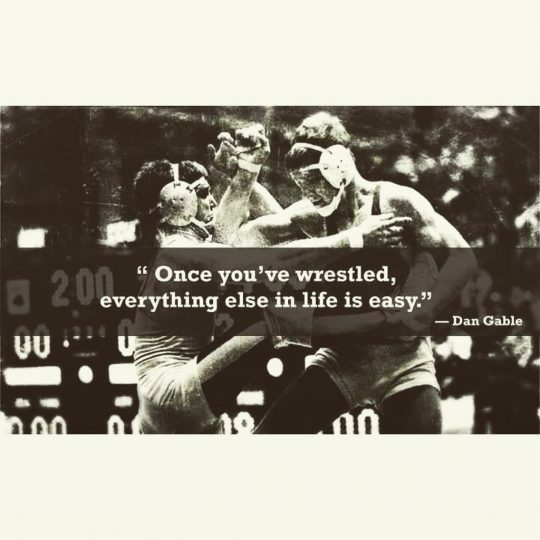 As a wrestler, at the end of a stressful day, there is no one else to blame but yourself for the failures that have occurred. There is no quarterback to blame for a bad pass, no point guard to blame for a missed shot, and no center-fielder to blame for the team’s loss. What distinguishes a wrestler as a young adult and athlete is simply discipline and the realization that there is no teammate or co-worker to blame for a failure, but only oneself. When the lights come on and the audience is centered on you in real life, they are waiting for you to slip up. Stay driven and fight your own battle. Next articleInvestigating the Age-Old Question: Who is Supposed to Pay on Valentine’s Day?